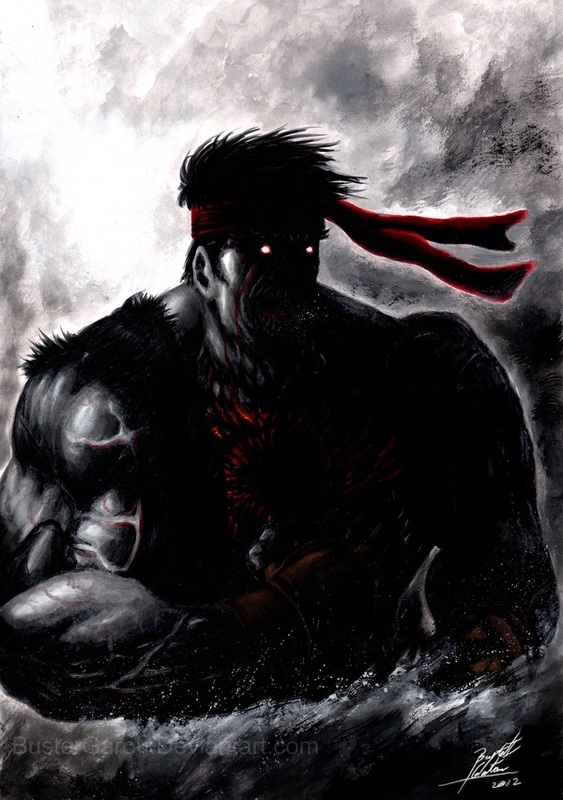 Evil Ryu, I like his desire to destroy everything and everyone in his path, and, I also like his personality, that despite his tendency to violence, he is smart in the same time, making him hard to defeat. He is a man who abbandoned his humanity and interior peace for just one thing, the fighting. 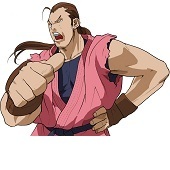 It looks like that he also like winning his battle, as the normal Ryu considers them just a training. I hope you enjoy his illustration, who explains everything of him by looking his face. 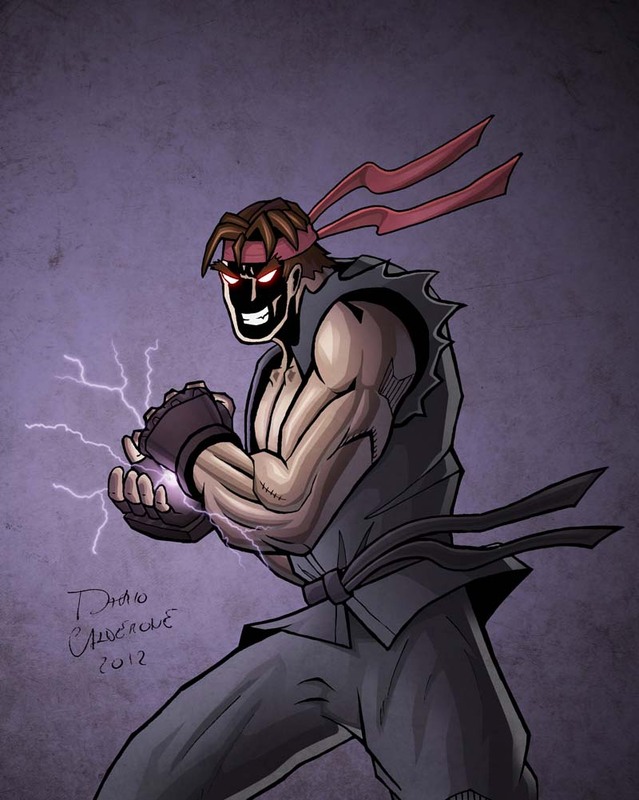 I drew Evil Ryu with pencil and then inked by pen, for being after scanned and colored by Photoshop. 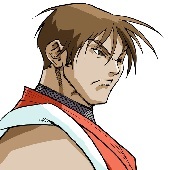 I wanted Ruy’s look with his old style, that is with brown hairs and not ripped clothes, for honoring the old times of SF games. I made his face shaded for giving him that touch of darkness, including his wicked smile (where I based it by a SOTA Action Figure of Evil Ryu). About the pose, I made it fitting with the face expression: intriguing. For not ruining this dark atmosphere, I had to make his fireball smaller, like he’s starting now to create the ball, in order to don’t illuminate the face by the ball’s light.